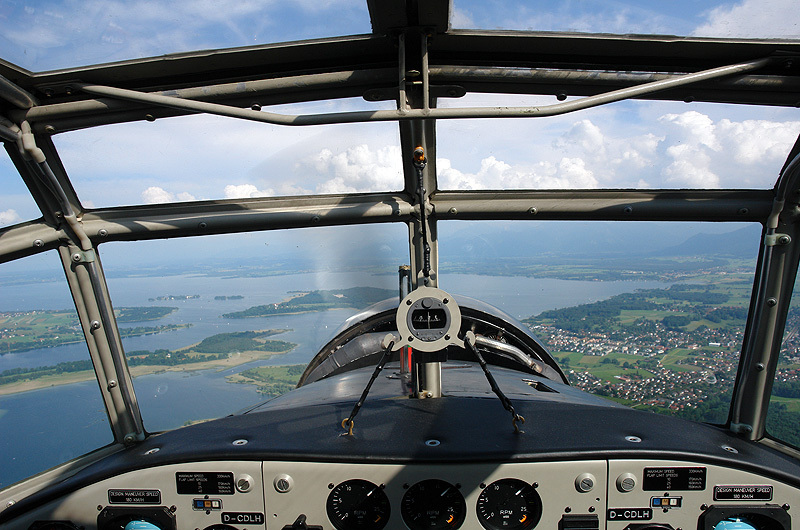 The Ju 52 vintage aircraft can hold sixteen passengers. The Ju 52 is a unique testimony of Germany’s aviation heritage and plans are to officially certify her as a „flying monument“. The legendary vintage airplane proves a fine piece of engineering still in service today. Round-flights aboard her sturdy nostalgic frame are much in demand and thus offered from various German cities and neighbouring countries. The rides pose a fantastic and rare treat for individuals and groups alike, be they private or corporate. Due to high popularity – and since the plane only seats sixteen passengers – early bookings are advisable. It may turn out an unforgettable experience of a lifetime well worth the investment. About 10,000 passengers a year succumb to her charms, and her roar, and her impressive personality. Perhaps Ju, too? 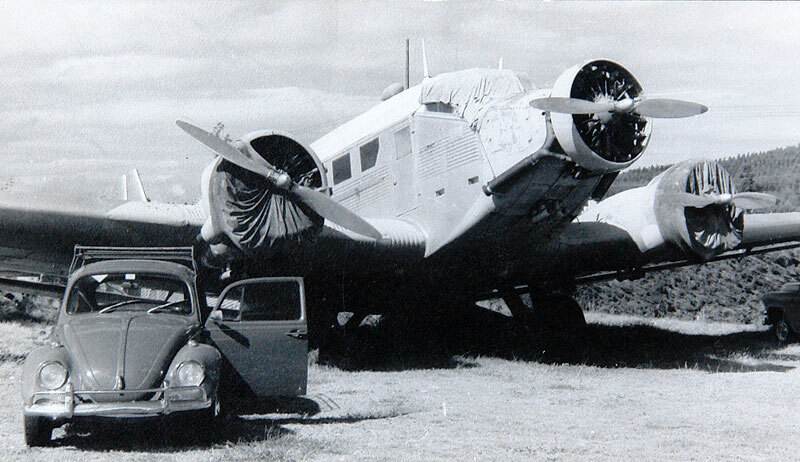 A mere two months after first being acquired by Lufthansa, the Ju 52 was sold to Norway, came back to Germany and Lufthansa and again returned to Norway, where she remained until 1956. A German Lufthansa pilot decided to buy her, equipped her with wheeled landing gear and shipped her to far-away Ecuador, where she transported passengers and cargo from Quito into the Amazon region – to finally be left to rot into oblivion from 1962 to 1970. A blessing, that a former American bomber pilot was willing to raise the 5,000 USD needed to purchase and rescue her from her undeserved fate. In the United States, she starred air shows as „Iron Annie“ until 1976. 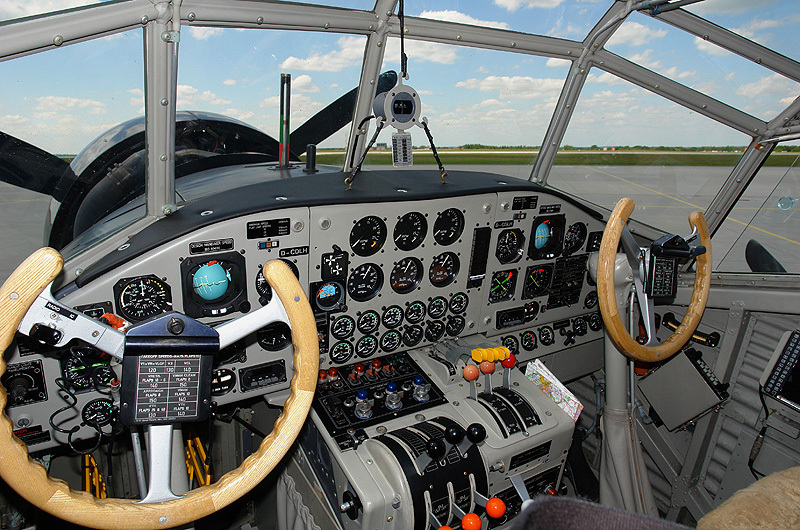 Flying the Ju 52 is a hands-on job requiring refined pilot skills. Buy-back by Lufthansa came in 1984. „Aunt Ju“ was flown homeward in an adventurous transfer exercise by covering 8,000 km in instalments. Starting from Opa-Locka, Florida, stops were made in Labrador, Greenland, Iceland, Scotland and England before she eventually touched native soil in Hamburg. Extensive and sensitive restoration over 16 months at the Lufthansa base there enabled her being licensed anew as the reliable passenger aircraft she always used to be. On 6 April 1984, 48 years to the day after her initial delivery, a foundation – Deutsche Lufthansa Berlin Stiftung – was established and became her proud new owner. After her restoration, “Aunt Ju” took up regular service in time for Lufthansa’s 60th anniversary in April 1986. Her official tail sign is now D-CDLH, Berlin Tempelhof – with her historic D-AQUI still present as part of her livery – and to preserve her history. 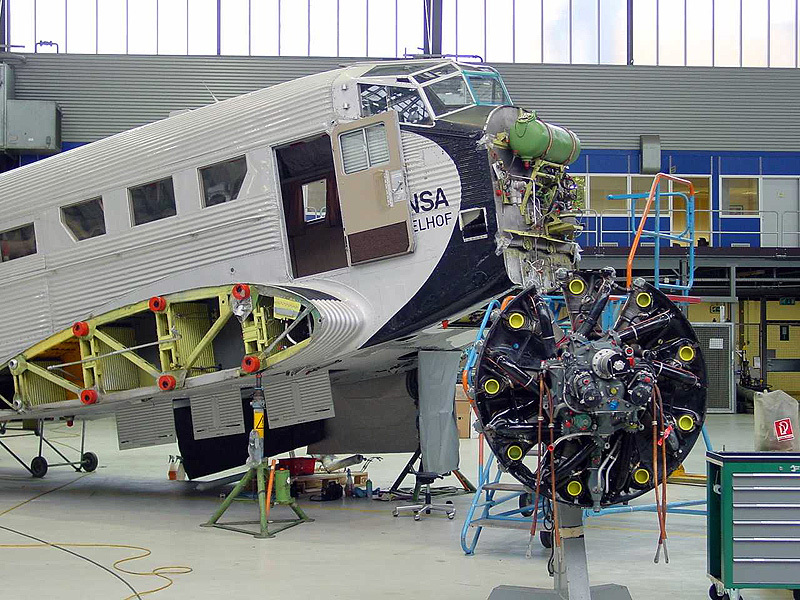 Each winter, Lufthansa technicians invest some 4,000 working hours to put their Ju 52 back into shipshape and to keep her as safe and immaculate as befits the status of an aerial majesty. Maintaining her is a costly affair, and donations are welcome. In Helge Heggblum’s film, passengers and crew members are telling stories about their personal Ju experience and reveal why she is affectionately dubbed “Aunt Ju”. The camera also accompanies her on one of her service checks carried out in Hamburg.